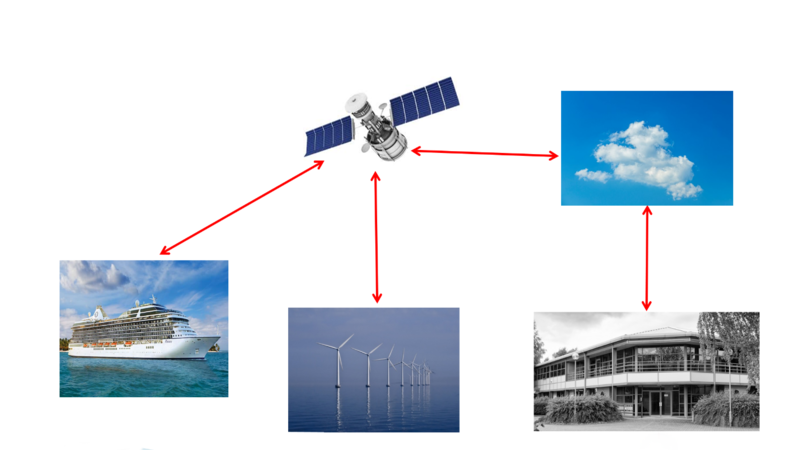 GyroMetric systems can be configured to send data via a communications satellite to data storage in the cloud. This can then be accessed by GyroMetric who can analyse the performance data and provide a sophisticated additional level of monitoring. Warnings and customised reports can be sent to fleet engineers or wind farm operators with a trend analysis of historical data demonstrating not only the current status of the equipment but also warnings of developing faults before they become critical. Gyrometric IME monitoring units communicate by Ethernet. Warnings and customised reports can be sent to fleet engineers or wind farm operators with a trend analysis of historical data demonstrating not only the current status of the equipment but also predictions of future performance. Software updates may be downloaded remotely and Gyrometric staff can offer on-line diagnosis of system problems, or analysis of the monitoring output. Recovery from power and network disruptions is automatic. When pre-set limits are exceeded the system has the capability to send out automatic warning emails to key recipients.